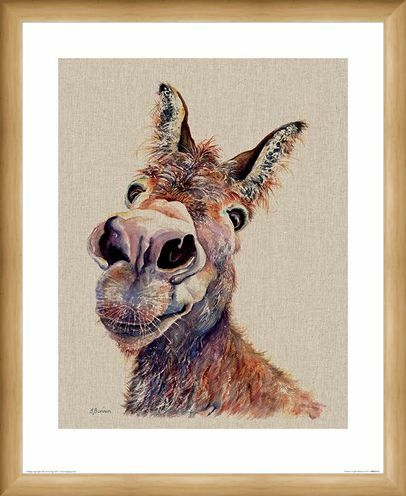 Humble and looking for a lifelong companion, Jane Bannon's adorable Doreen needs a place in your home! 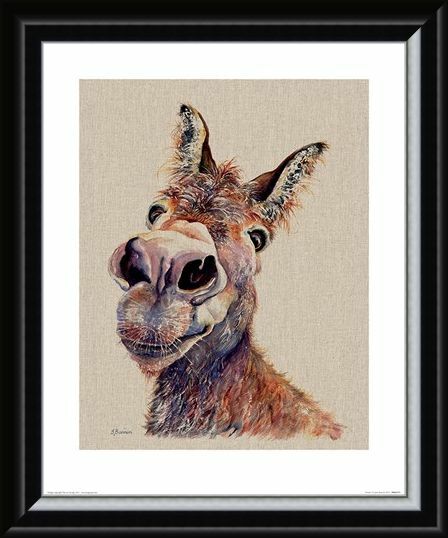 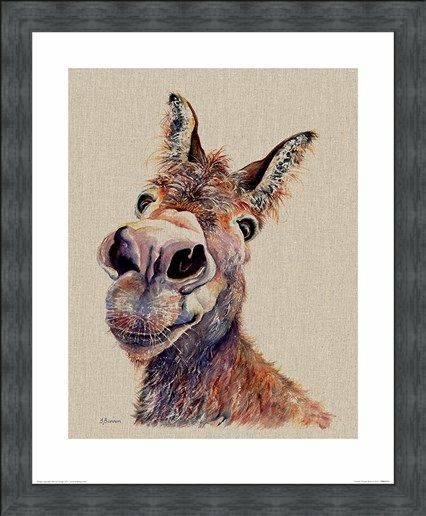 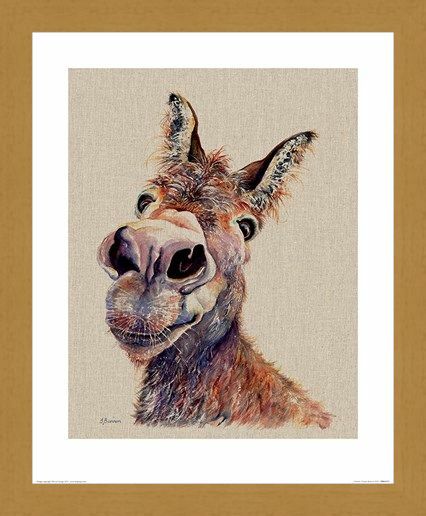 Inquisitive and friendly, this fabulous donkey is a no mess, no fuss, comical character, perfect for any loving household. 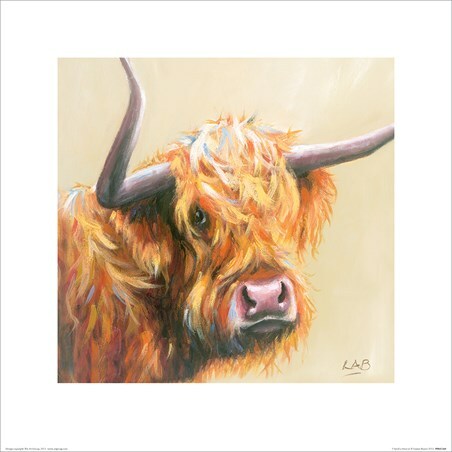 Drawing inspiration from the surrounding countryside, this fabulous artist focuses on the nature, abundant in her countryside home. 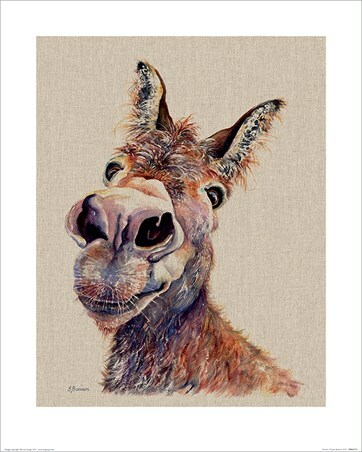 So if quirky and unique is up your street, then this whimsical print was made with you in mind. 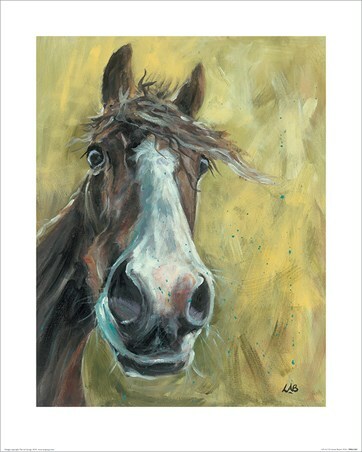 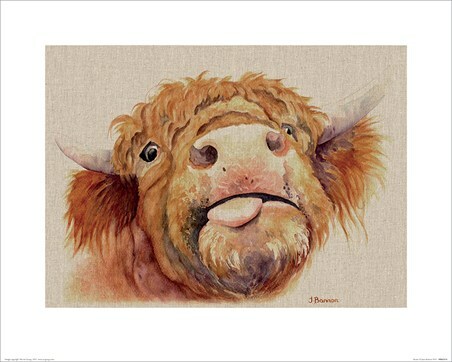 High quality, framed Doreen, Jane Bannon mini print with a bespoke frame by our custom framing service.